Moving to a new place is daunting and although usually scary, can mark a new beginning as it was for today's January fashion featured individual, Hanan. He moved right in the middle of high school from the town of Edison to the much smaller area of Matawan, New Jersey. 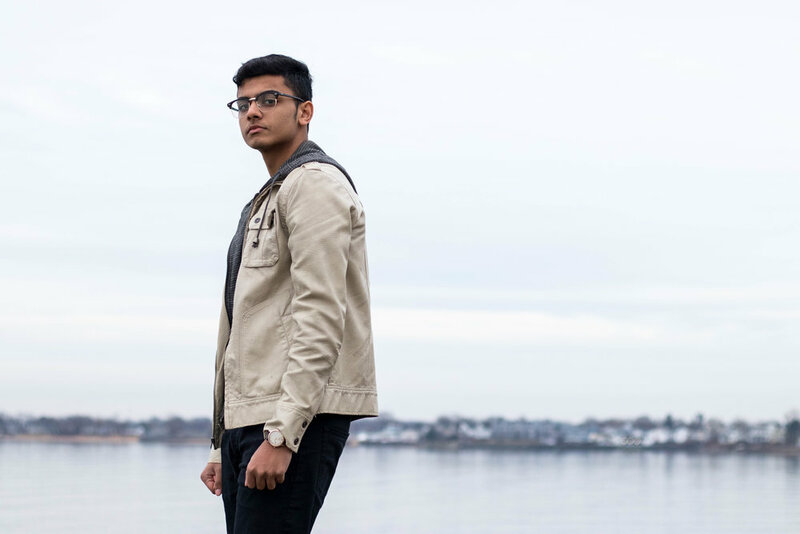 It was tough, really tough, and for the most part of his sophomore year in Matawan, Hanan remained quite, but when junior year and wrestling rolled around, he began to come out of his shell. Even though coming to this new town presented a challenge of its own, this was not the first time he had moved. At least the second time around, it wasn't from another country. Edison and Matawan have their differences. For one, Hanan points out, Edison was a lot bigger with more people making it harder to feel like an individual. He also comments that there was a lot more drama in Edison compared to a much more mellow and easy going Matawan. At first, Hanan did really miss Edison, and his first days in Matawan High School dragged along slowly. However, with wrestling came a new medium to make friends and get settled. Everyone was very kind to him, and thus his shyness slowly faded away. Although adjusting to Matawan took a couple of months, it was nothing compared to Hanan's first move from Pakistan. Coming to the United States from Pakistan, where he had lived a majority of his life, was a great undertaking. There was a different culture to adjust to, a different language and accent to learn, and different kinds of people. America did have its quirks, but Hanan mentions, he did feel a whole lot safer living here. Pakistan's education also contrasted to that of the public school Hanan attends now. Back in Pakistan, English was learned as a second language, there were uniforms, and boys and girls were separate. Besides a better schooling in the United States, Hanan sees that his parents also moved here for a wider variety of opportunities for him and his brothers. After having moved a lot, the advice he's given is to not let the situation get inside your head too much. For a bit of winter fashion inspiration, Hanan is rocking the black and tan colors for a casual look as he poses along the cliff overlooking the Keyport Waterfront. Beginning at the bottom, Hanan is wearing a suave pair of men's beige Chelsea boots. Then, he has on a pair of classic black jeans and a black v-neck tee. These darker colors contrast nicely to his final piece of apparel, a light tan, hooded jacket to go along with the shoes. Altogether, Hanan has made a not too complicated but well-structured outfit for the mild winter days.